Whether you’re designing a unique website background, a poster, sketch, or a creating an artistic photo composition, using a watercolor Photoshop action can make your design stand out from the crowd. A watercolor effect it’s not an easy effect to master when created from scratch. 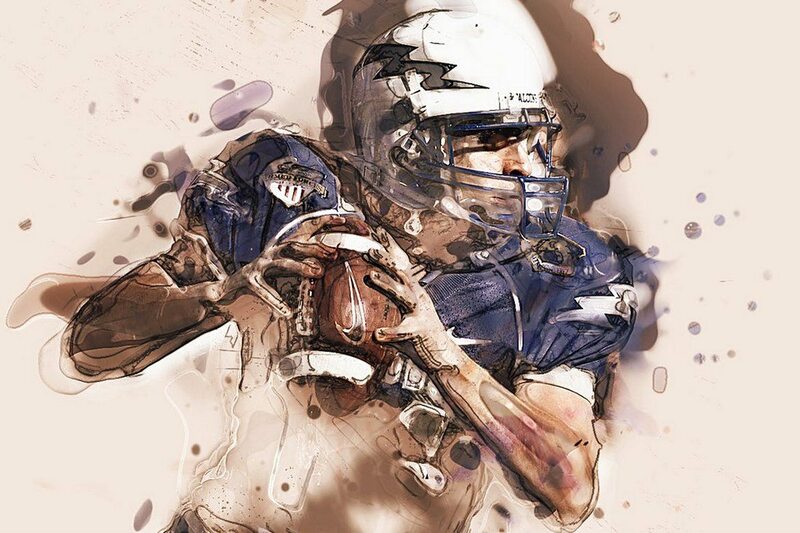 It takes a lot of work, time, and skill to achieve a realistic watercolor effect in Photoshop. The good news is that using a watercolor Photoshop action can help you skip the learning curve and experiment with a watercolor effect in just a few clicks! 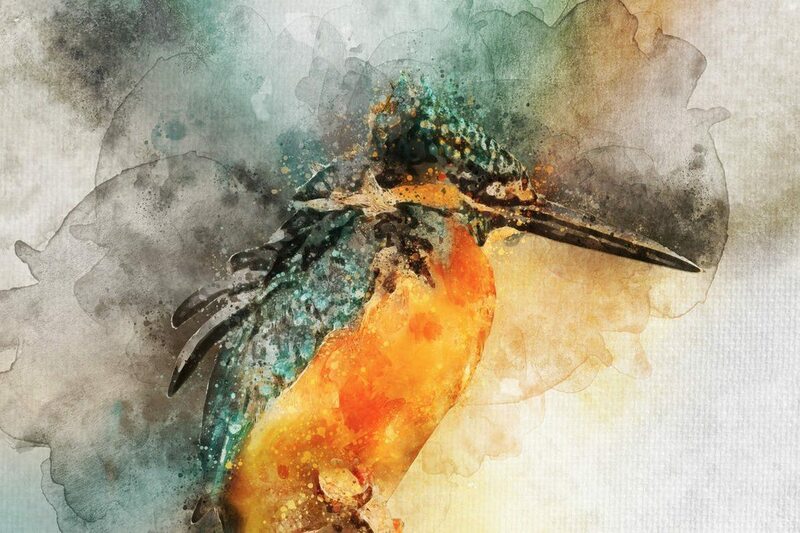 In this collection, we’re featuring some of the best watercolor Photoshop actions you can use to turn your photos into watercolor art, craft amazing backgrounds, and do much more. Have a look and start downloading. You can grab all these Photoshop actions for a single price when you subscribe to Envato Elements. 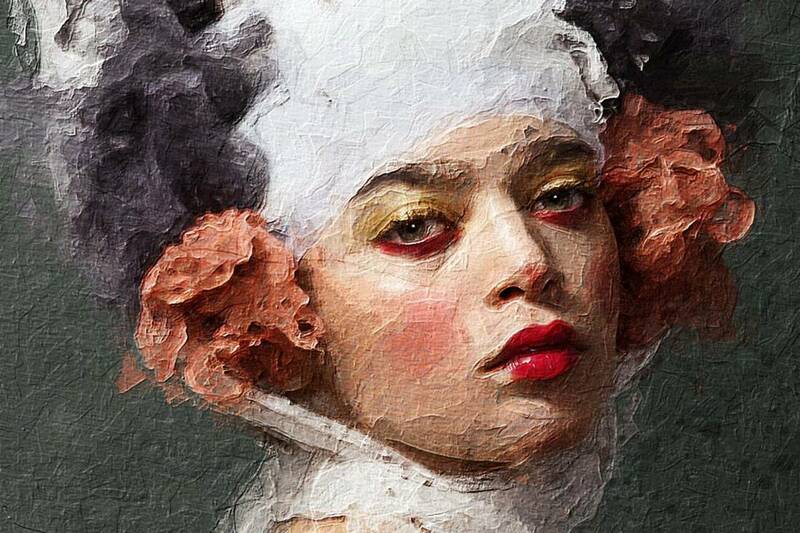 Even though oil painting and watercolor are two separate mediums, you can still use this professional Photoshop action to create a unique watercolor-like effect with your photos and graphics. It includes 10 different effects with various painting-themed designs. 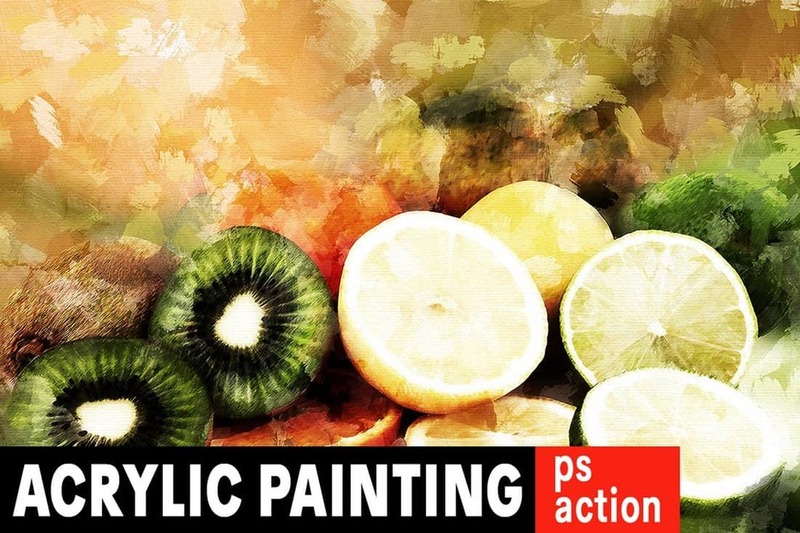 Another high-quality Photoshop action you can use to create an authentic painting effect. This action can be applied with just one-click and also allows you to customize the effect to your preference. The action works with Photoshop CS3 and higher. 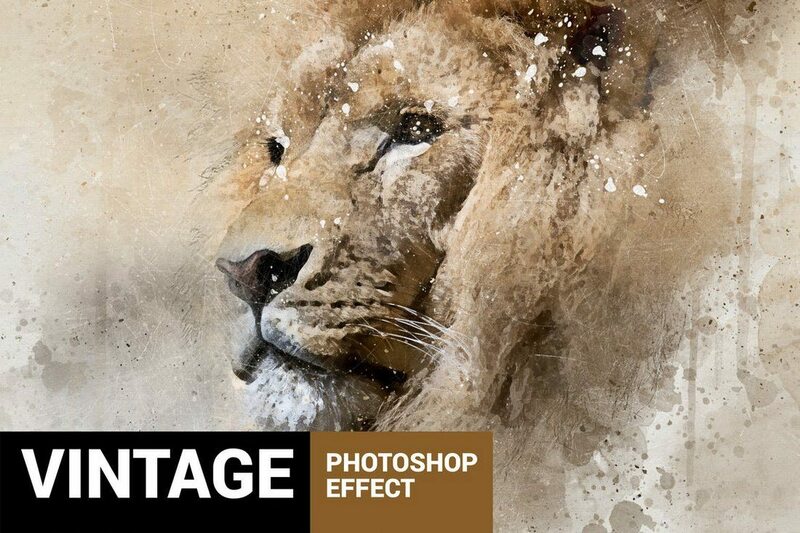 This is a unique Photoshop action featuring an effect that makes your photos and graphics look as if they were drawn with real-paint. The bundle comes with the effect in multiple formats, including patterns and textures. 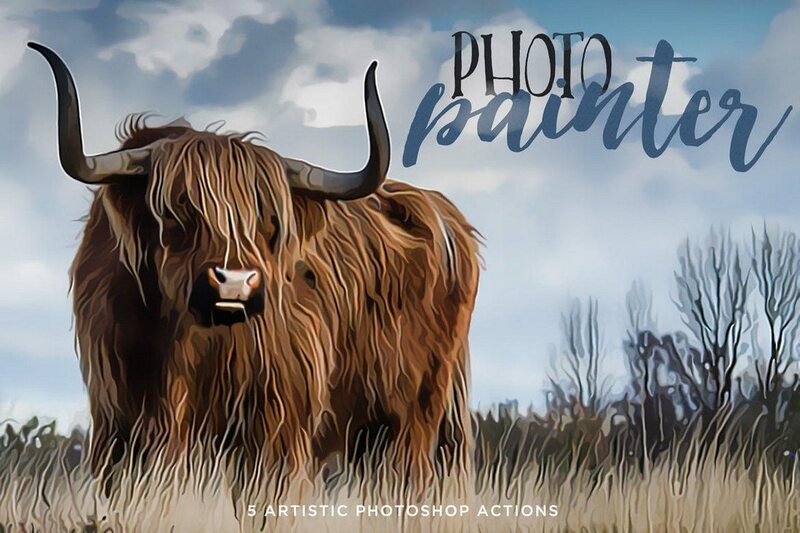 If you’re a fan of acrylic painting effects, this Photoshop action will allow you to apply that same look and feel to your own photos. The action is fully customizable and comes with a set of brushes as well. 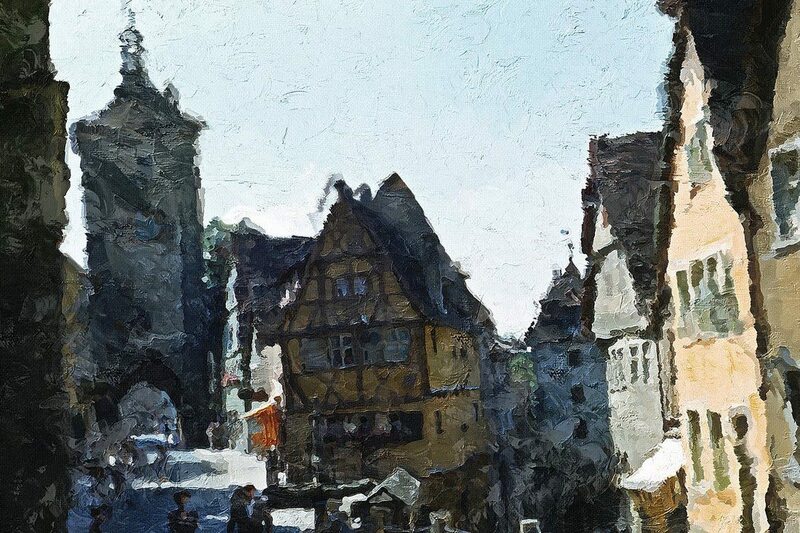 Concepter is a unique Photoshop action that completely transforms your photos into outdoor painting-style sketches (plein air). The effect includes 20 color options to choose from, brushes, and patterns as well. 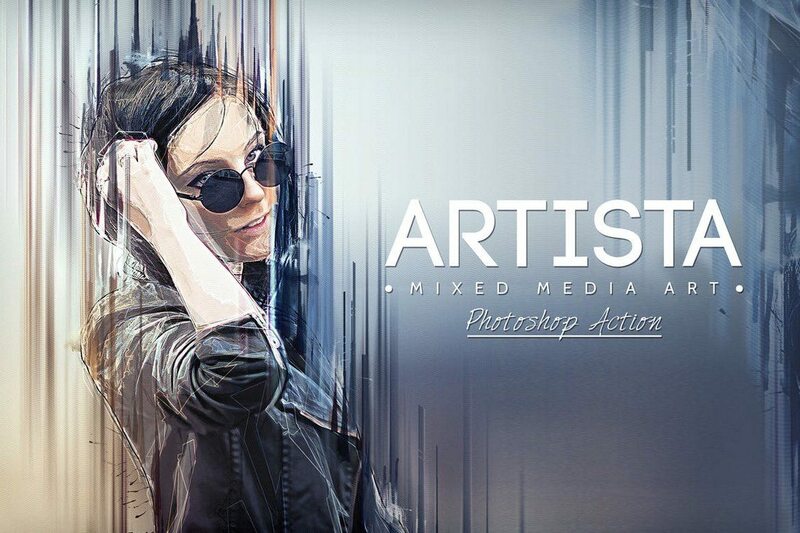 The action works with Photoshop CC 2015 or higher. 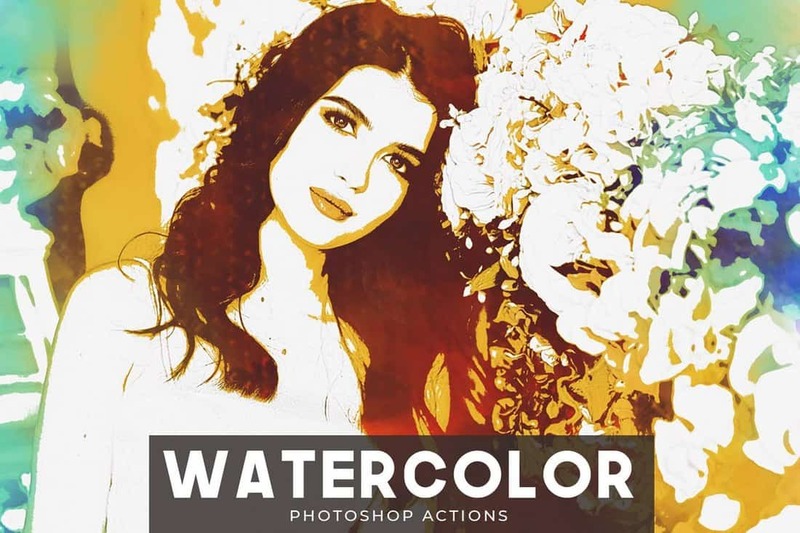 This is a creative Photoshop action that allows you to create authentic watercolor effects with your photos and graphics. The action is easily customizable and works with Photoshop CS3 and higher. A modern watercolor Photoshop action you can use to add a little bit of artistic touch to your photos. This action will be quite useful in enhancing your portrait photos. 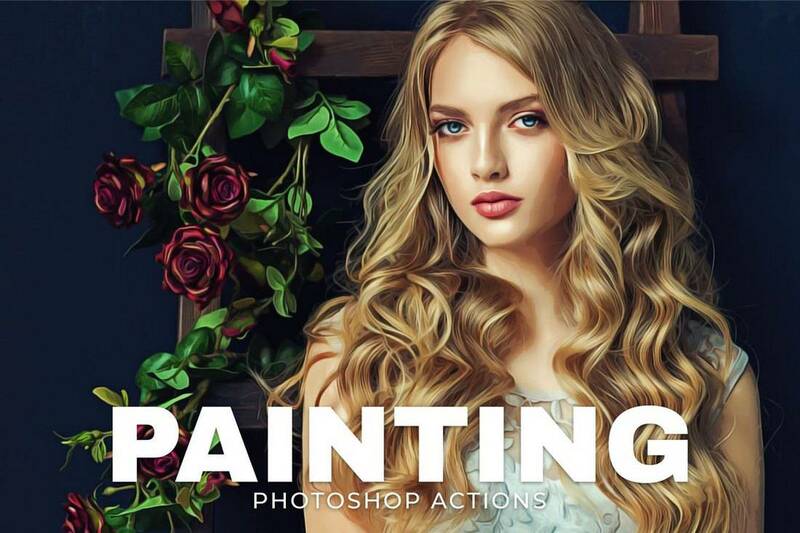 If you’re looking for a simple Photoshop action to transform your ordinary photos into paintings, then this action will help you get the job done. It creates a fully layered painting effect, which you can easily adjust and customize to your preference. Plasticum is a unique Photoshop action that creates an artistic effect with polygonal shapes. With a few customizations and color adjustments, you can use this action to create an attractive watercolor effect as well. Another professional Photoshop action featuring an acrylic painting effect. This action is most suitable for adding an additional effect to your portraits. It works with Photoshop CS3 and higher. 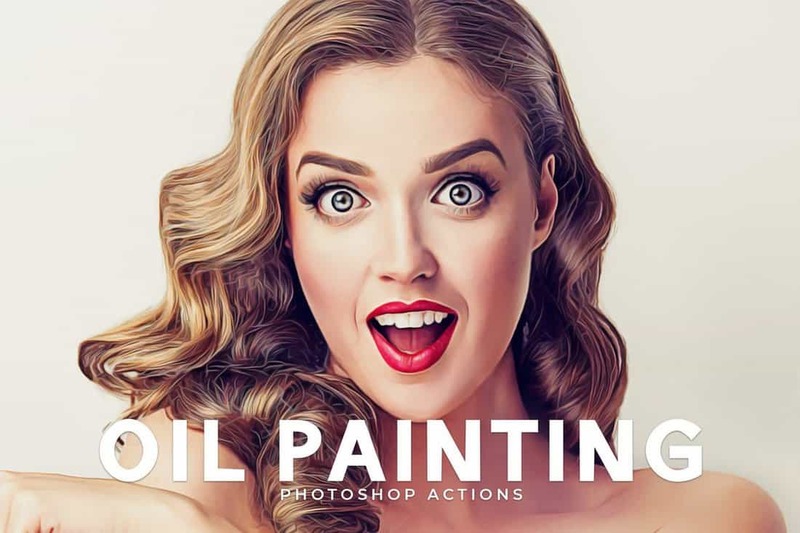 This is a bundle of 5 different Photoshop actions that includes different actions for transforming many types of images, graphics, and designs into artworks. The actions feature unique effects that will make your design look like watercolor and hand-drawn paintings. 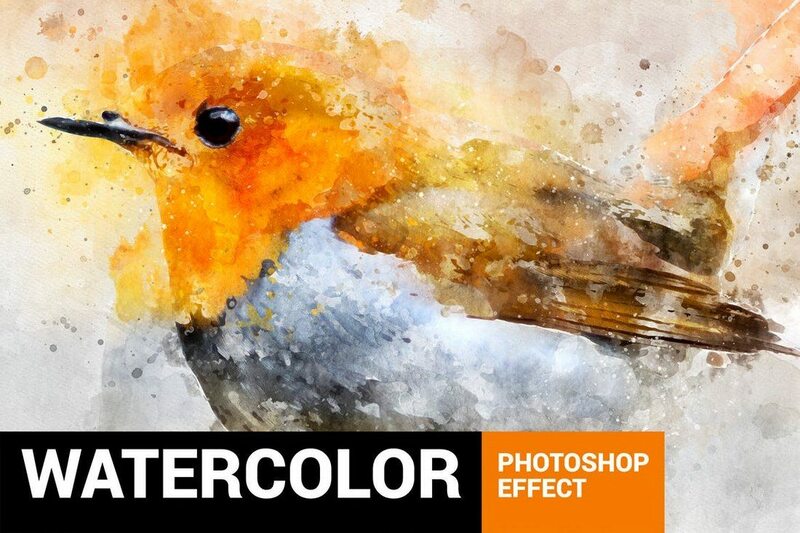 This is another unique watercolor Photoshop action that blends the effects of a painting with your real-life photos for achieving the perfectly artistic look. Getting this effect to work is as simple as brushing over the areas for applying the effect and playing the action. One of the most attractive features of the watercolor effect is how it adds more vibrance and color to your designs and photos. 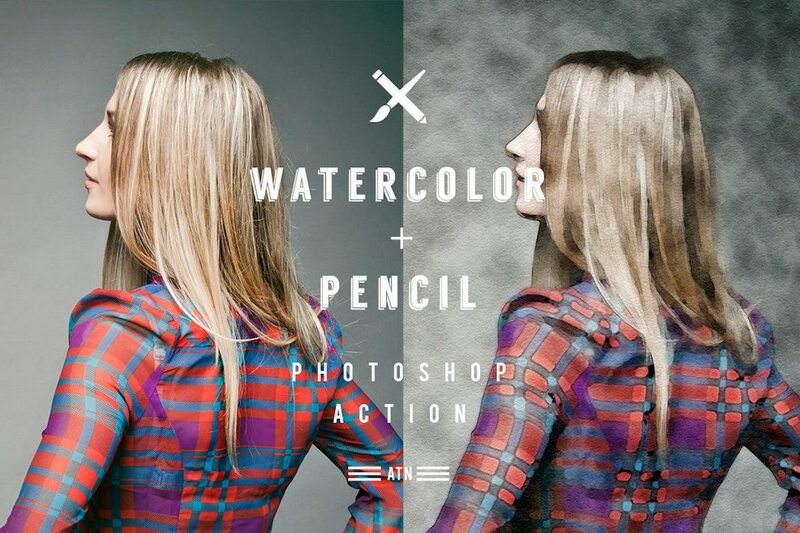 This Photoshop action helps you achieve that with its colorful one-click process. It also includes a video tutorial on how to customize the effect as well. 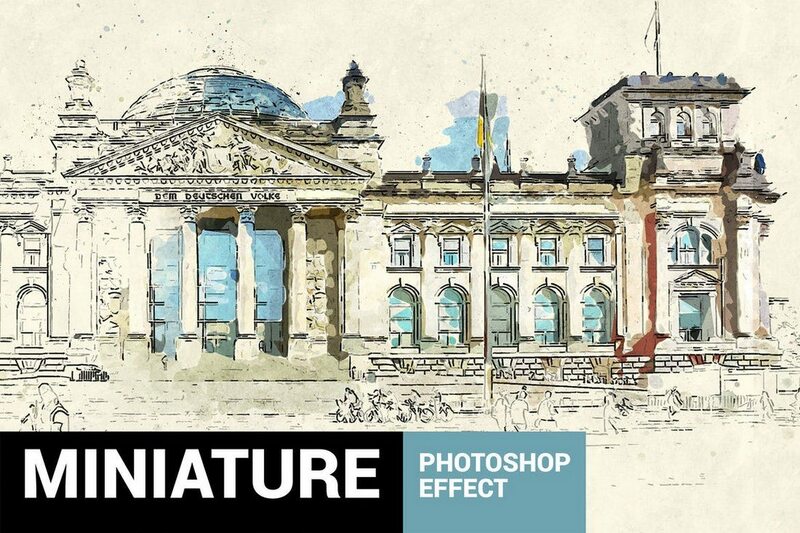 Miniaturum is another professional Photoshop action that creates a realistic watercolor sketch effect. This action is best used with your landscape and outdoor photos. But it will also work well with portraits as well. The best part is this action is that it’s compatible with Photoshop CS3 and above. This Photoshop action is designed specifically for modern portraits and street photos. The effect adds a watercolor effect with a slightly modern touch for giving your photos a mixed look full of both artistic and modern elements. 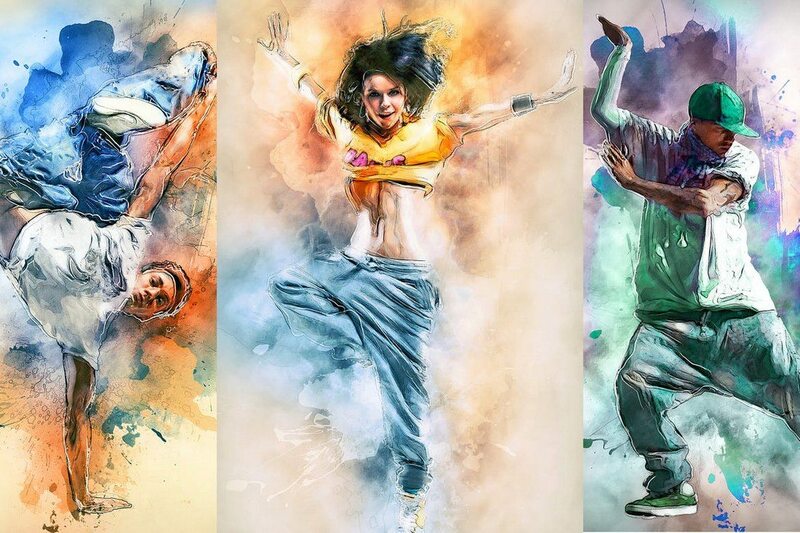 When it comes to watercolor effects, most Photoshop actions try to make your designs look too much like a painting. This effect, however, is not one of those PS actions. 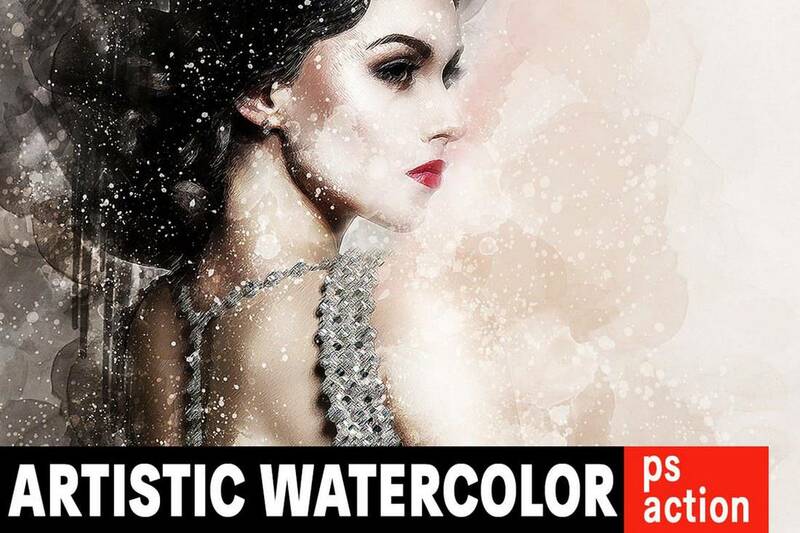 This effect gives an authentic look to your artworks and designs to make them look like true watercolor and pencil art. 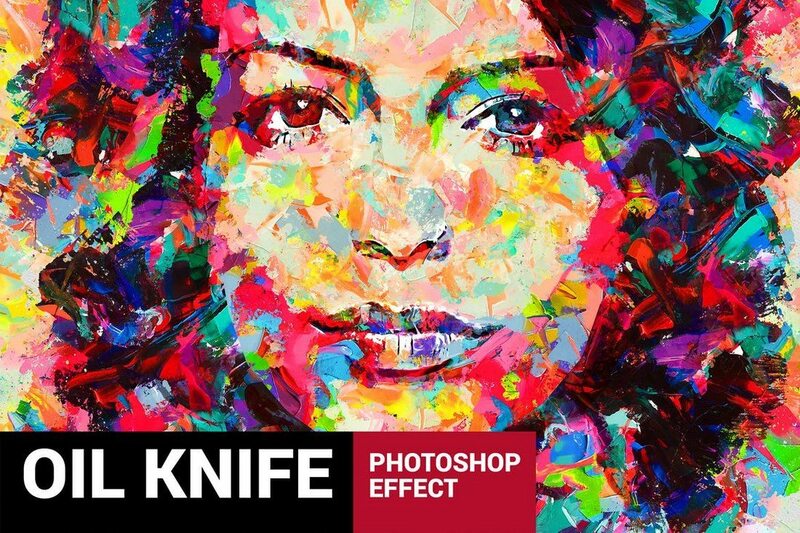 The effect is also customizable and features 20 color presets and options. A bundle of watercolor effects. 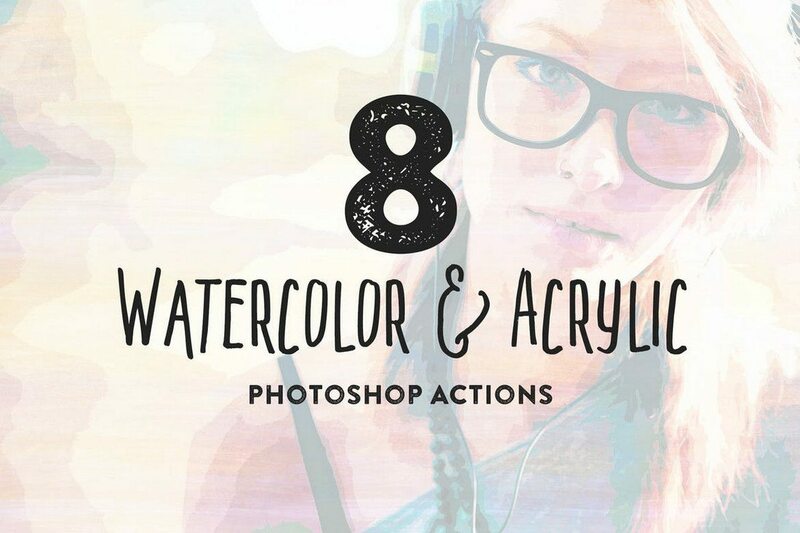 This pack comes with 8 different Photoshop actions featuring watercolor effects and acrylic painting effects. It includes textures made with real watercolor paintings. 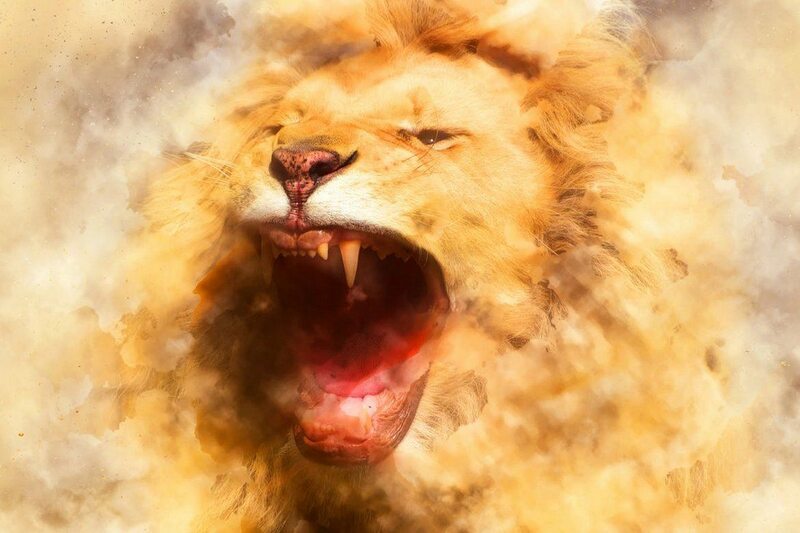 Each action creates effects with non-destructive layers so you can easily edit the effect to your preference. This creative watercolor Photoshop action comes with 5 different color options for using with different types of your designs and artworks. The effects mix watercolor and photo effects to give a unique look to your images. 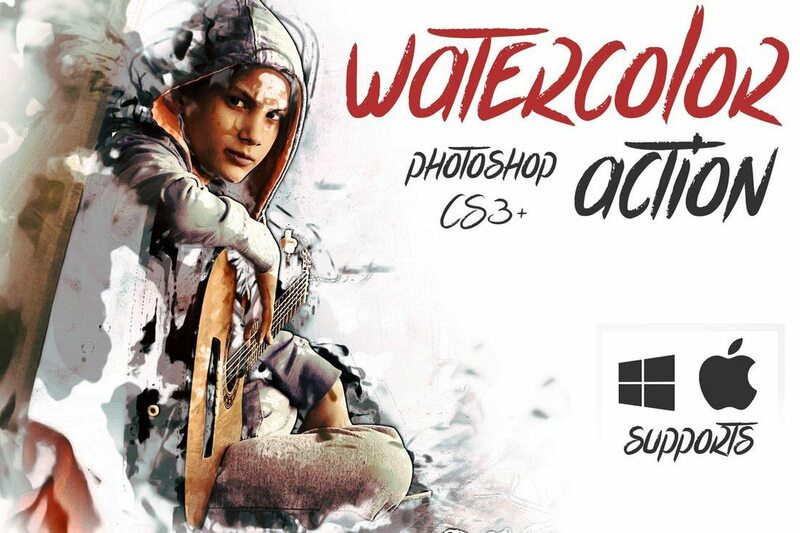 The actions are compatible with Photoshop CS3 and above. 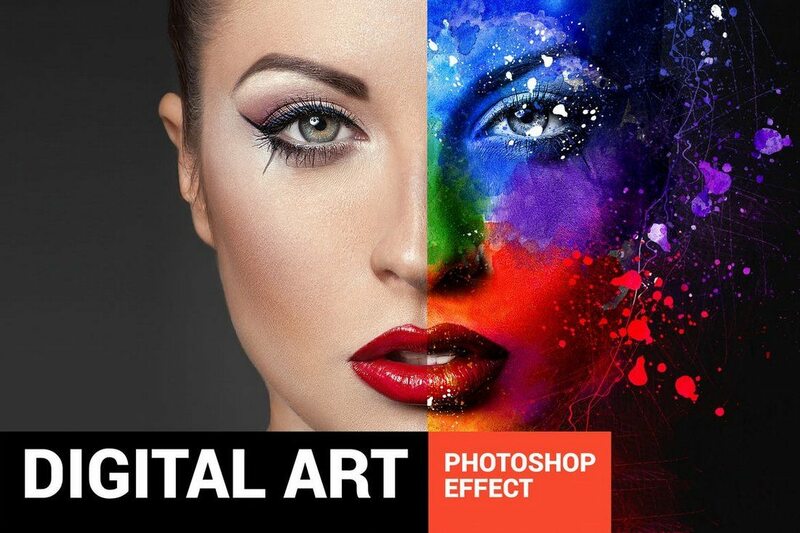 An accurately designed Photoshop action that allows you to transform your portrait photos and designs into pieces of art. This action has been crafted by a professional designer to make it as authentic as possible. 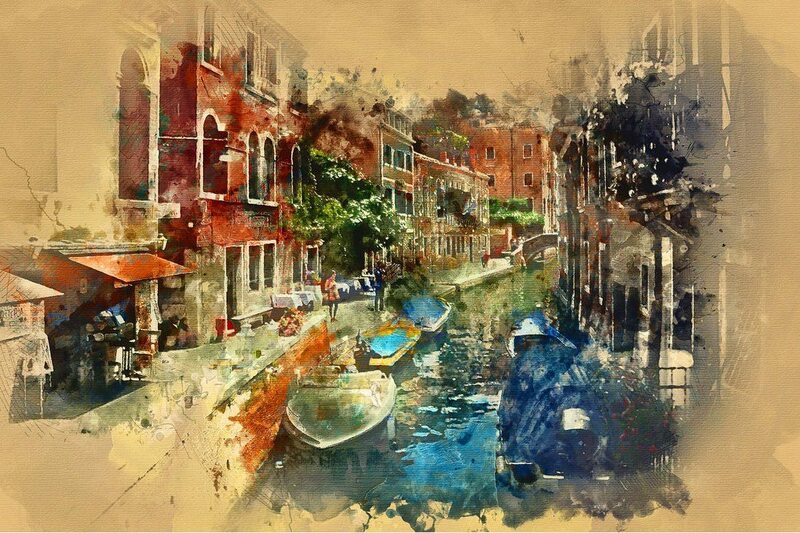 The effect will give your photos an artistic watercolor painting look like none other. This is a watercolor Photoshop action that will work with almost any type of an image or design. It simply adds a basic watercolor effect to your designs to specific areas of your preference. All you have to do is brush over the areas you want to apply the effect and play the action. Delight is an authentic watercolor Photoshop action that features a more realistic effect than most other Photoshop actions. This action also creates its effect in editable layers, which means you can easily customize the effect to your preference as well. Modernum Photoshop action creates a unique watercolor effect full of color and vibrance. The effect features a modern design and even allows you to customize it with using 10 different colors presets and other options. 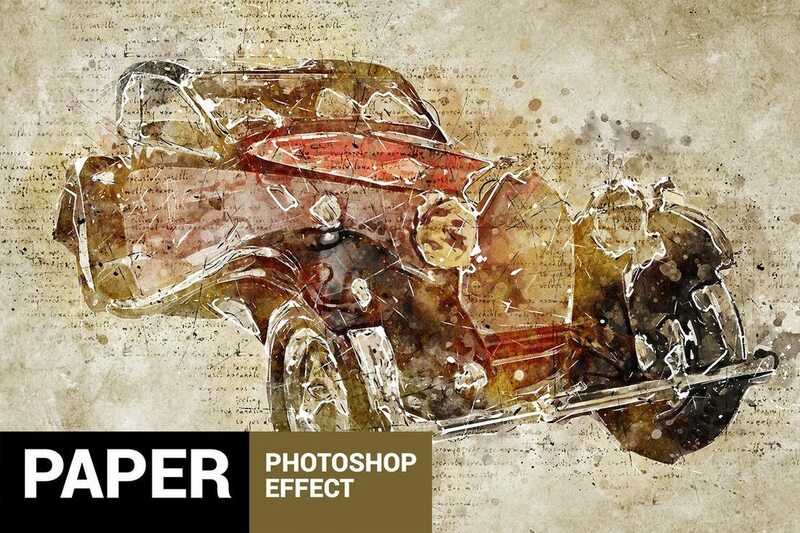 If you’re looking for a Photoshop action to give your designs an old-school vintage art look, this action will come in handy. It features a watercolor effect that gives a grunge like vintage look to your designs and photos. The action supports 20 colors presets and generates the effect in organized layers. This Photoshop action is truly one of a kind. 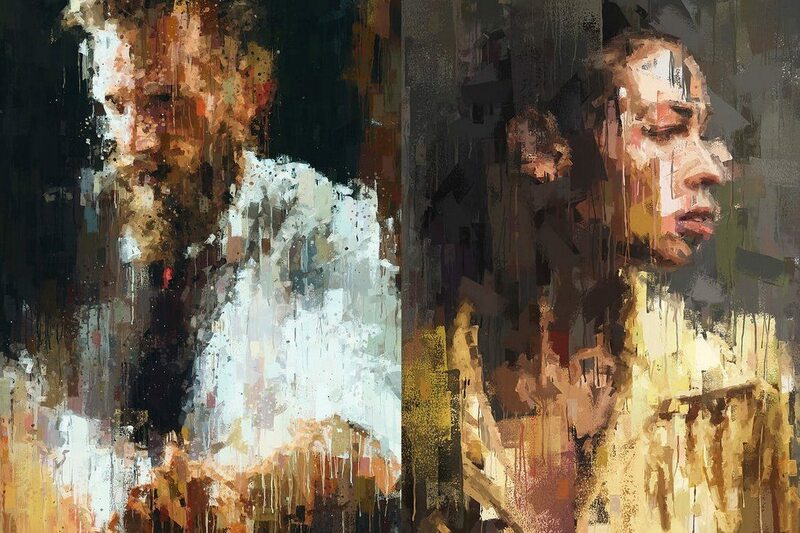 It transforms your photos and graphic designs into palette knife artworks. The amazing part is how accurate and realistic this effect really looks. The effect is also fully editable to your preference. Another simple watercolor Photoshop action that creates a canvas-like effect to make your designs look more like authentic paintings. The effect can be easily customized and it even comes with a tutorial video. The action is compatible with Photoshop CS3 and better. 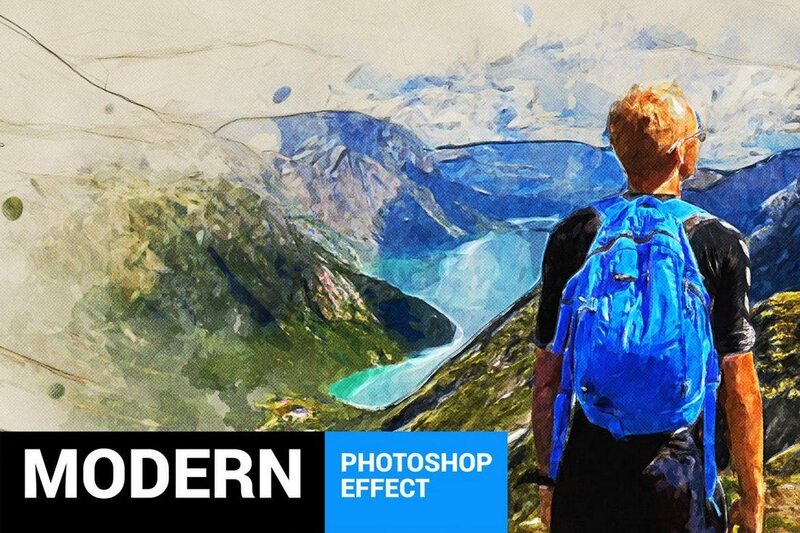 If you’re looking for a more artistic watercolor effect, this is the best Photoshop action you can use. 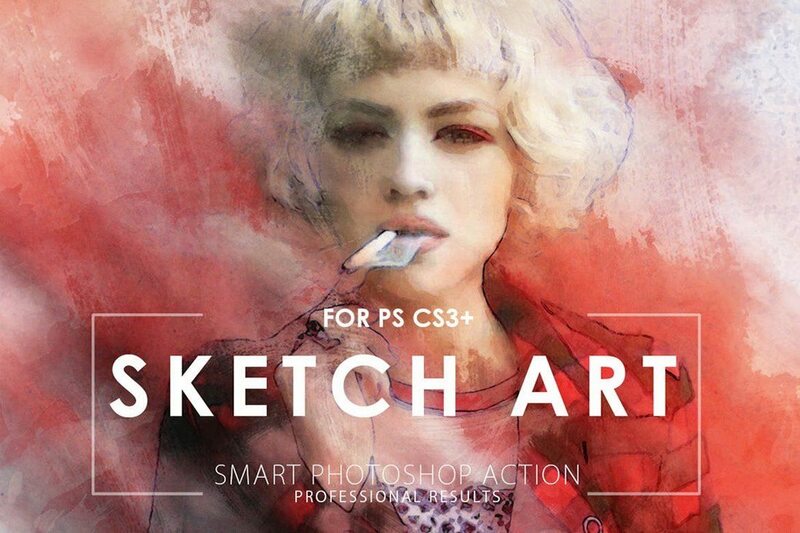 It completely transforms your photos into paintings by giving them a realistic look. Although, it may not work with all types of photos, especially family and group photos. Watercolor and oil paintings have a close relationship. This Photoshop action is a one that seems to do justice for both. 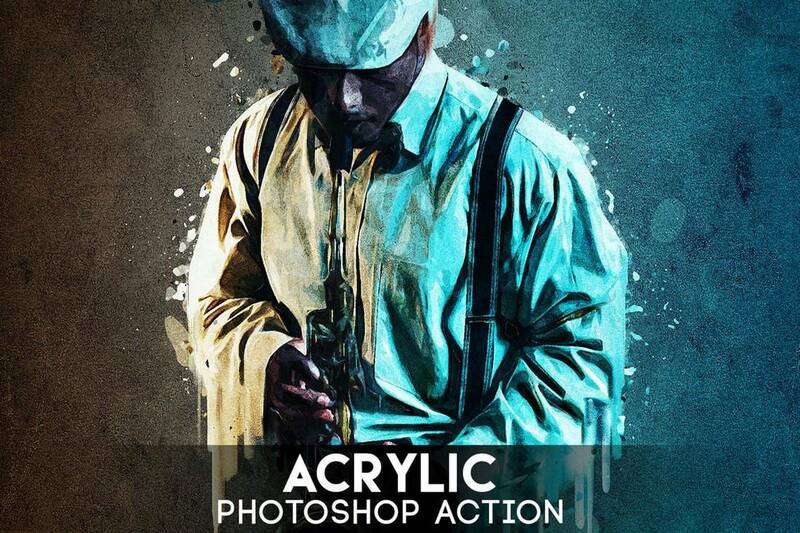 This action features an oil and knife painting effect that gives an amazingly colorful look to designs and photos. It comes with 20 colors presets. This watercolor Photoshop action seems to work well with object and product based photos. It adds a natural watercolor effect to your photos that will wow your clients and audience. 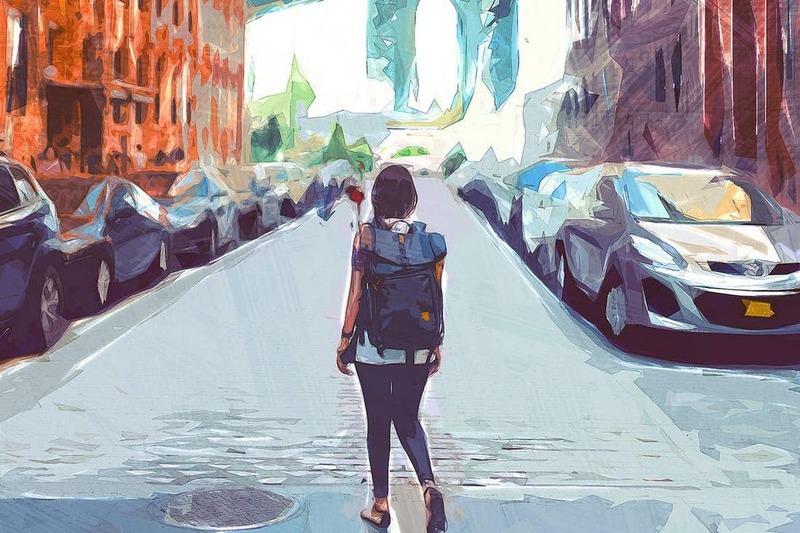 Uniqum is Photoshop action that comes with a mix of both a sketch and painting effect. It adds a unique look to your photos with a mix of sketch and painting to give them an authentic and unfinished look. 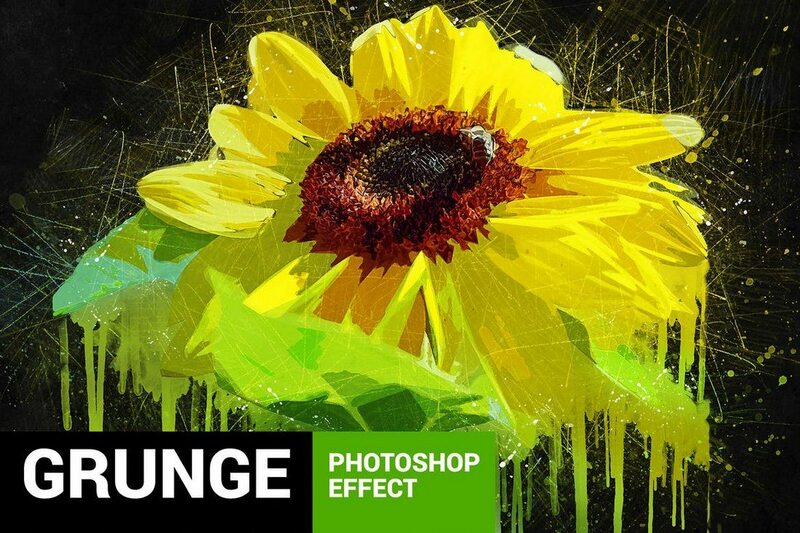 The effect is fully customizable with adjustment layers and it includes 10 color presets as well. Even though this Photoshop action creates a sketch art effect, it also seems to add certain watercolor painting-like effect to photos as well. 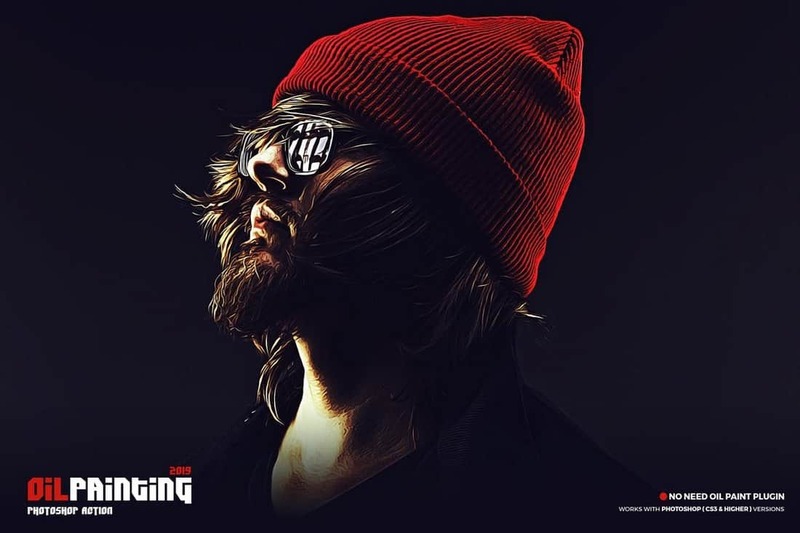 You can use this Photoshop action to create unique portrait photo designs, backgrounds, textures, and more. Is it a watercolor painting? Digital art? Or a real photo? 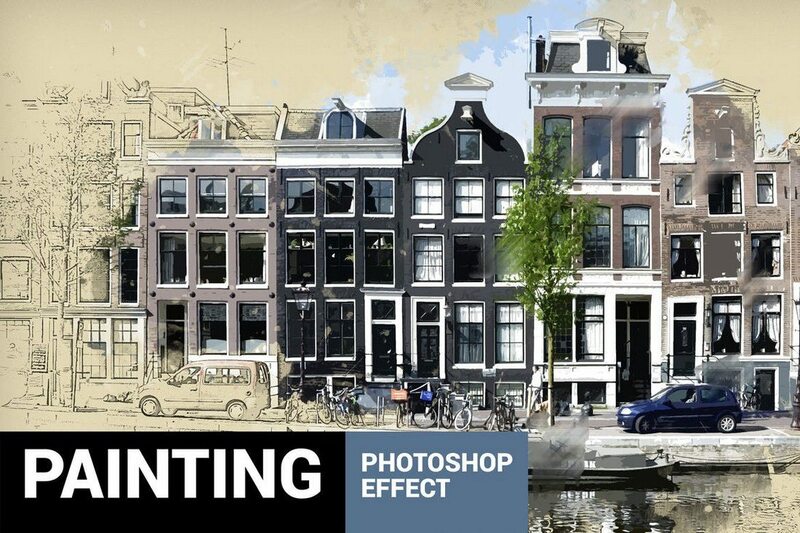 No one will be able to tell the difference once you apply this effect to your photos. 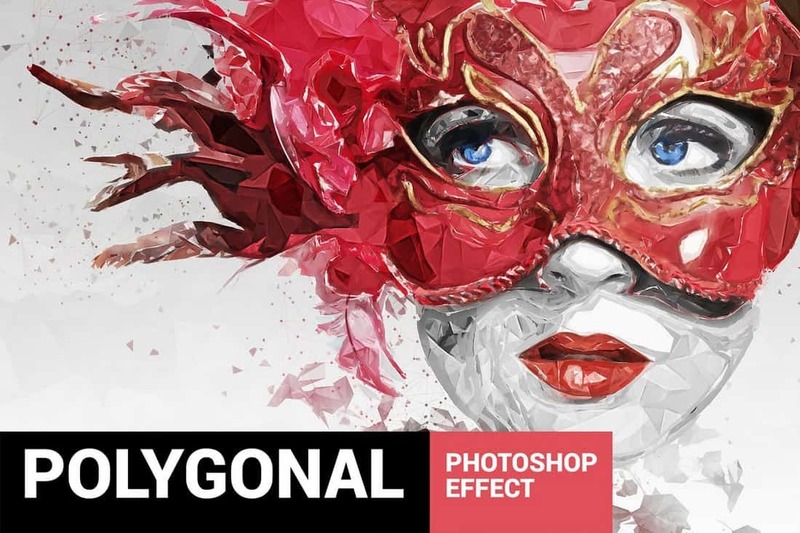 This Photoshop action combines lots of graphical elements to create a unique artistic effect that will make your designs look more original. This is technically not a watercolor Photoshop action, but the effect it creates is truly original and it will definitely be helpful for your design work. The one-click Photoshop action creates a unique effect that will make your photos look like digital artworks. Looking for cool backgrounds? Check out our watercolor background textures collection for more.